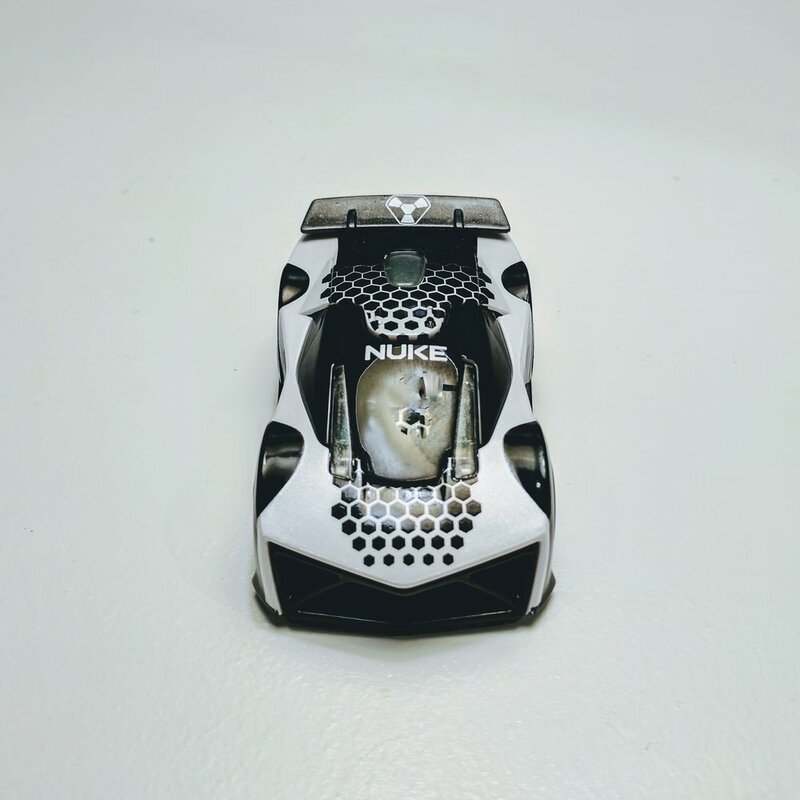 Most recently Anki has unleashed a new Supercar to their lineup which adds to an already stellar Overdrive car and truck offering. 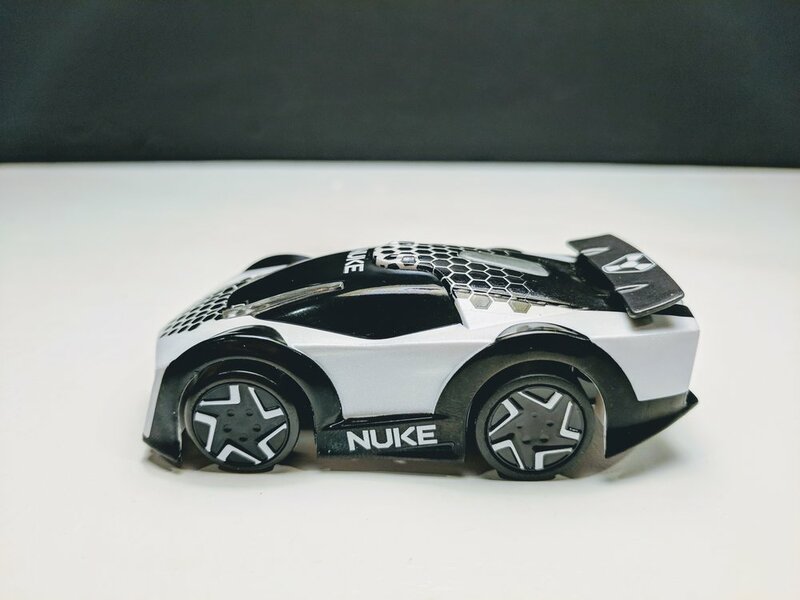 Nuke Phantom is a new take on already existing Supercar, Nuke which is an existing car available for Overdrive much like X52 ICE was a new version of Supertruck X52. 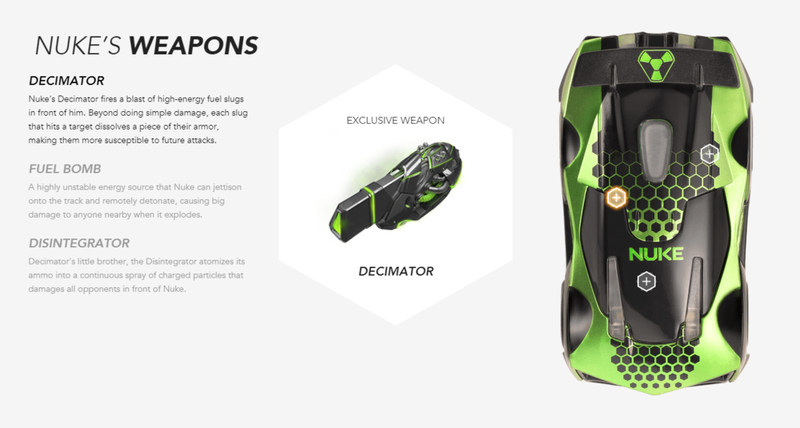 Like X52 ICE, Nuke Phantom is not just a re-skin of the existing product, Nuke Phantom has a different and exclusive weapons arsenal available to do battle with other Overdrive cars and trucks. The original version of Nuke was not the fastest car in the Overdrive lineup. Its strengths were defense and firepower. 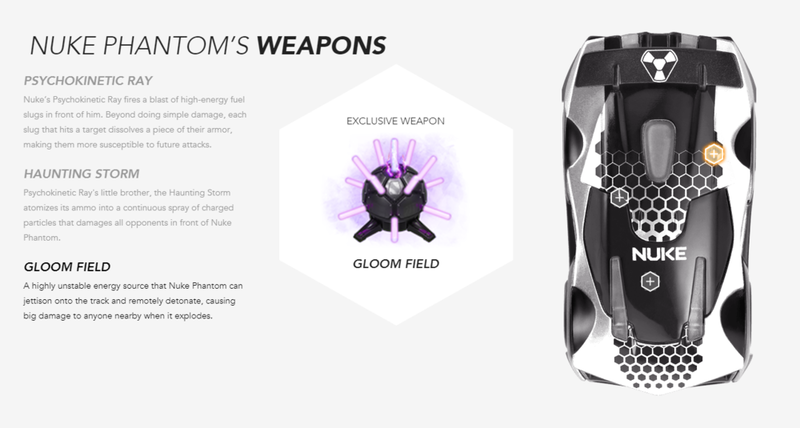 Nuke Phantom is much of the same but as mentioned has some exclusive weapons. Check out the differences below. 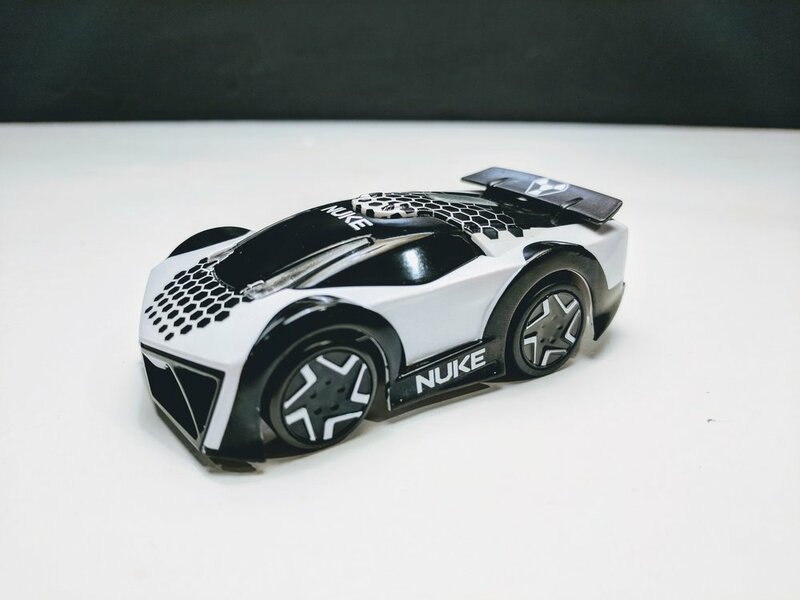 I have been testing Nuke Phantom with the new Fast and Furious Edition version of Overdrive, and I have been impressed by just how powerful it is when going up against the likes of Dom's Ice Chargers, Hobbs' MXT and other Supercars like Skull and Groundshock. Speed certainly is not Phantom's strength, but time after time when Nuke Phantom would be trailing in a race and about to be lapped by a faster marker a strategic deployment of its powerful weapons will easily disable a quicker opponent allowing Phantom to get back in the race. When competing as Nuke Phantom, you need to make a conscious decision to fall behind early in a race to put yourself in a position to disable an opponent and get back in the race. On the flip side, when competing against an AI-powered Nuke Phantom, you need to monitor your distance at all times. Too close leading or trailing against Nuke Phantom and you will find quickly be disabled. Merely going straight to an offensive attack against Phantom is also a dangerous game too. Thanks to Phantom's exceptional defensive strength a quick strike from a weaker set of weapons leaves plenty of time for Phantom to counter your advance with a powerful and decisive attack leaving you disabled on the track. When I first looked at what Nuke Phantom had to offer I was slightly underwhelmed. I am a fan of the faster and agiler Supercars, but after getting beaten time after time by Nuke Phantom, it became even more apparent that Overdrive is not just another race track game, but is really a game of strategy. Super Nuke Phantom can be purchased Toys 'R' Us for $64.99.